Australian Marine Algal Name Index. Available at http://www.anbg.gov.au/abrs/online-resources/ amani/ [Verified 26 February 2008]. Borowitzka, L. J., and Larkum, A. W. D. (1986). Reef algae. Oceanus 29,49-54. Diaz-Pulido, G., and McCook, L. J. (2002). The fate of bleached corals: patterns and dynamics of algal recruitment. Marine Ecology Progress Series 232, 115-128.
International Database of Information on Algae. Available at http://www.algaebase.org/ [Verified 26 February 2008]. McCook, L. J., Jompa, J., and Diaz-Pulido, G. (2001). 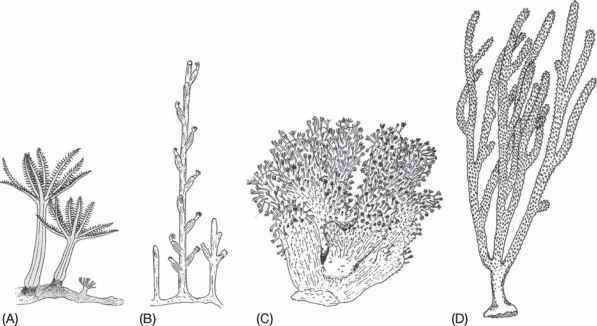 Competition between corals and algae on coral reefs: a review of evidence and mechanisms. Coral Reefs 19, 400-417.